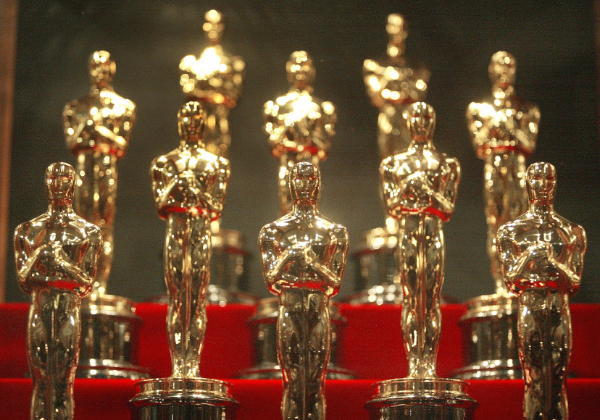 Are y’all looking forward to Sunday night’s 87th Academy Awards ceremony like we are? We decided to explore our ties to the red carpet and found some tasty morsels that may prove entertaining. Take a gander, and if you’re looking for somewhere to watch the event, consider Pet Helper’s glitz and glamour fundraiser “A Night at the Oscars” at Club Trio, sure to make you feel like a star! Bette Midler was nominated for Best Actress in 1992 for her performance in For the Boys. Parts of this movie were filmed at the Citadel, where Peter Falk was filmed in a 1974 episode of Columbo. Columbo? That’s pretty awesome, too. While not filmed in Charleston, the movie Glory told the story of the 54th Massachusetts Volunteer Infantry, the first black American troops. Of the 600 black Union troops who bravely charged Confederate defenses at Battery Wagner on Morris Island, 218 were killed, wounded or captured in fierce fighting. The 54th later served in South Carolina, Georgia and Florida before returning to Massachusetts at war's end. The movie was nominated for five Academy Award and won three, including Best Supporting Actor for Denzel Washington. A number of Pat Conroy’s books feature Charleston as a backdrop, including some that were made into movies and filmed in Charleston such as The Lords of Discipline and The Prince of Tides. Scenes of the Wingo childhood home from the latter were filmed here: the enchanting island with terrible secrets, the three children plunging from the dock into the safety of the water...all filmed on the Legare property on Wadmalaw, Point Farm. Barbra Streisand, director, was seen eating at the Primrose House on East Bay Street when she was in town for the shoot. The film was nominated for seven 1992 Academy Awards, including: Best Picture (Barbra Streisand & Andrew Karsch), Best Actor (Nick Nolte), Best Supporting Actress (Kate Nelligan), and Best Screenplay (Pat Conroy). Barbara herself has won two Oscars (Funny Face and A Star is Born) and the three movies she’s directed have garnered 14 nominations. In 1959, Sidney Poitier became the first black male actor to be nominated for a competitive Academy Award (for The Defiant Ones) and in 1964, he was the first black male actor to win the Academy Award for Best Actor for his role in Lilies of the Field. (James Baskett was the first African American male to receive an Oscar, an Honorary Academy Award for his performance as Uncle Remus in the Walt Disney production of Song of the South in 1948; who remembers that one?). After filming The Defiant Ones, Poitier starred as Porgy in the musical film Porgy and Bess, based on Charleston’s Dubose Heyward's 1925 novel Porgy. In 1990, Poitier came to Charleston to film the TV movie Separate but Equal, in which he played NAACP attorney Thurgood Marshall in the landmark Supreme Court desegregation case Brown v. Board of Education. It was during this time that Lois found herself seated next to the venerable actor at the bar at Magnolia’s, where her leg bumped his accidentally, on purpose. 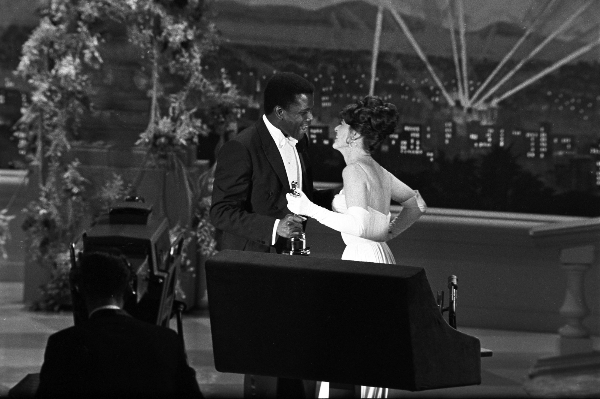 In 2002, Poitier won an Honorary Award for “his extraordinary performances and unique presence on the screen and for representing the industry with dignity, style and intelligence.” We agree! In the movie Cold Mountain, Nicole Kidman’s character is a lady from Charleston who moves to the mountains for safety during the Civil War. While much of the film was shot in the Carpathian Mountains of Romania (how exotic), a lot of it took place at Botany Bay Plantation on Edisto Island and some scenes were shot on the College of Charleston campus. Renee Zellweger won the 2004 Academy Award for Best Supporting Actress; the film was nominated for six other awards including Best Actor (Jude Law). Lovely film. 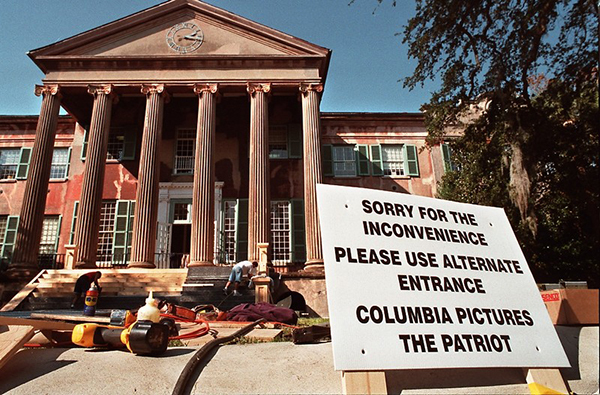 The film The Patriot depicting 1776 colonial South Carolina starring Mel Gibson and Heath Ledger was filmed almost exclusively in South Carolina. Locations include Randolph Hall at the College of Charleston, Cypress Gardens, Middleton Place, Botany Bay Plantation, and Folly Beach. Y’all remember that? The scenery was exquisite and the film deservingly won the 2001 Academy Award for Best Cinematography; it also won Oscars for Best Original Song and Best Sound. Cecil B. DeMille's 1942 film Reap the Wild Wind tells the story of a couple of ship salvagers fighting over wrecked vessels--and the love of a passionate woman--in maritime 1840. Part of the movie takes place in Charleston and was filmed on Church Street, which looked just as it did 100 years before except for the presence of telephone wires, poles, and fireplugs. The city obligingly took down the wires and allowed the poles and hydrants to be concealed with vegetation. For three days several hundred Charlestonians donned the costumes of their ancestors and worked in scenes as extras. 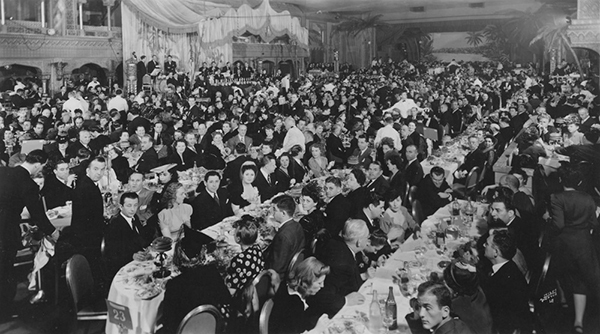 The movie starred John Wayne, Paulette Goddard, Ray Milland, and Susan Hayward and was nominated for three 1943 Oscars, winning the Award for Best Effects/Special Effects. Reese Witherspoon married Ryan Phillippe in a dreamy wedding out at Wide Awake Plantation in 1999 that was catered by Callie’s Biscuits. The marriage didn’t last, but Reese’s love of Charleston did. After repeatedly visiting the Holy City, she lived here for a while with her two children during the split. She’s been seen gnoshing at Fig and shopping on King Street. This talented young lady won the 2006 Academy Award for Best Actress for her performance of June Carter in Walk the Line; the film was nominated for four additional awards. Reese is up for another Oscar this year for Best Actress for her performance of Cheryl, a young woman who attempts to reclaim control of her life by undertaking a thousand-mile hike along the Pacific Crest Trail in the movie Wild. Who’s rooting for Reese? Talk about an Oscars sweep! 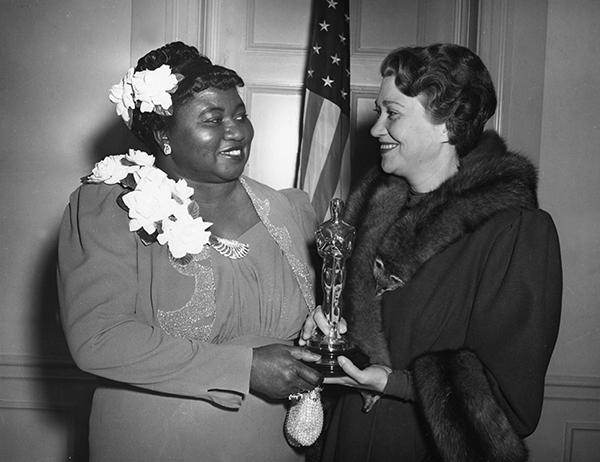 Gone with the Wind was nominated for 14 Academy Awards in 1940 and won nine of them, including Best Supporting Actress for Hattie McDaniel for her portrayal of Mammy--the first time an African American was nominated and won an Academy Award. Rhett Butler was famously from Charleston, and Madam Belle Watling was modeled after Charleston’s own Grace Piexotto as we’ve noted before. That’s enough for an Oscar connection in our opinion, but our own John Payne brings something extra to the table. According to his mom Kat Hastie, John’s great-great aunt Harriet Kershaw Leiding had a walk-on part in the movie and Clark Gable himself tipped his hat to her as they were passing each other on the sidewalk, saying, "Good morning, Mrs. Leiding.” She got this "part" for helping the director with the authentic sounds of the street vendors, which she had put into musical notation. 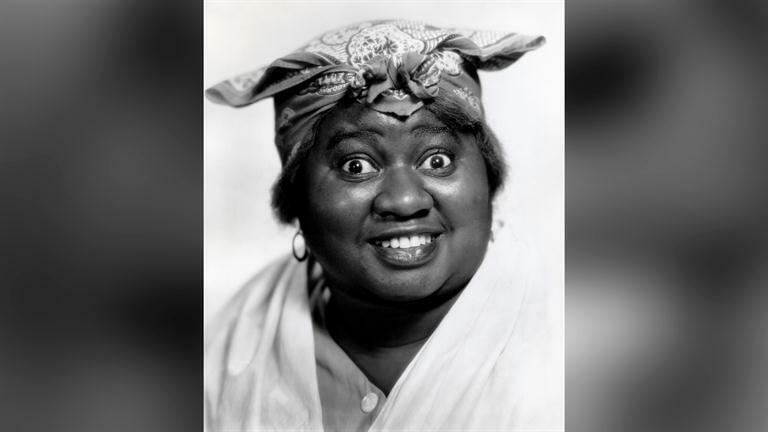 She authored two books, South Carolina's Historic Houses and Charleston: Historic and Romantic and was often teased about the title of the latter, some calling it Charleston: Hysteric and Rheumatico. We love it!